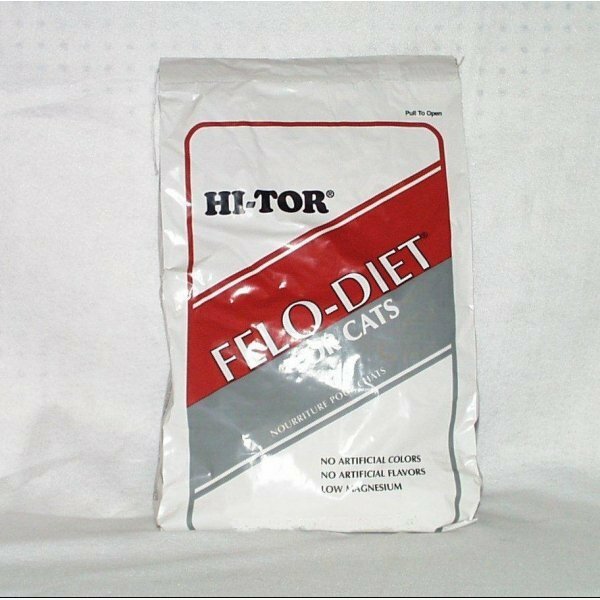 The Hi-Tor Felo Diet provides a low magnesium diet with an optimum balance of nutrients for cats while helping prevent the formation of calculi or stones. Available in 4 lb., 12 lb. and 20 lb. bags. 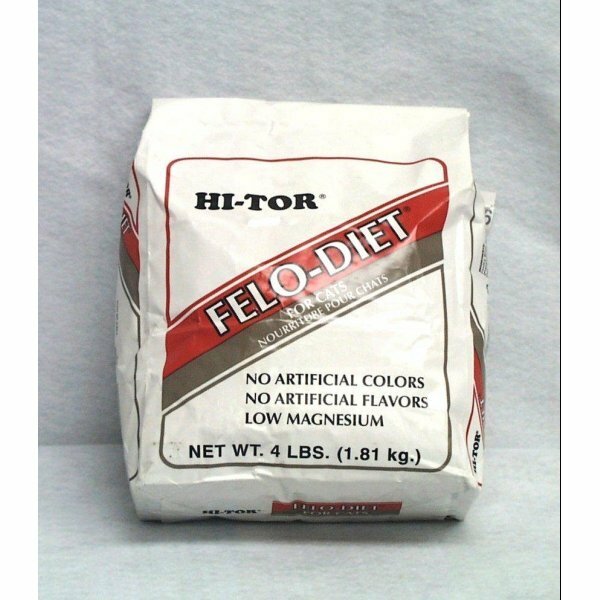 Hi-Tor Felo Diet for Cats has different options and/or variations, please choose below. 1. Reduced levels of some minerals, including magnesium. 2. Elevated fat levels to increase caloric density. 3. Metabolism of this diet results in a mildly acidic urine. 4. Available in 4 lb., 12 lb. and 20 lb. bags. Poultry Meal, Ground Brewers Rice, Ground Yellow Corn, Poultry Fat (Preserved with BHA and Citric Acid), Ground Yellow Corn, Corn Gluten Meal, Dried Whole Egg, Brewers Dried Yeast, Phosphoric Acid, Poultry Digest, Iodized Salt, DL-Methionine, Taurine, Choline Chloride, Vitamin A Supplement, Vitamin D Supplement, Vitamin E Supplement, Zinc Oxide, Ferrous Sulfate, Riboflavin, Menadione, Sodium Bisulfite Complex (Source of Vitamin K Activity), Biotin, Niacin, Calcium Pantothenate, Thiamine Mononitrate, Copper Sulfate, Pyridoxine Hydrochloride, Calcium Iodate, Cobalt Carbonate, Manganous Oxide, Vitamin B12 Supplement, Sodium Selenite.